What: Las Vegas Hot Air Balloon Ride. Availability: Daily (depending on weather). Don’t Miss: Spectacular aerial views of the Las Vegas Strip! 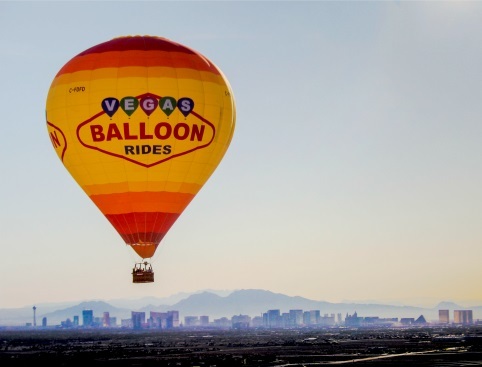 Experience the romance of gliding majestically over Las Vegas and the spectacular surrounding countryside on this unmissable Las Vegas Hot Air Balloon Ride! Soar high above Las Vegas and enjoy unparalleled views of the surrounding city and landscape including the Strip, the Red Rock Mountains and Canyon and more! Your adventure begins at a desert launch site with a fascinating pre-flight briefing where you’ll learn about the methods and history of hot air balloon flight. Watch as the propane burners are ignited to heat the air inside the envelope, causing the balloon to inflate. Then it’s time to join your experienced balloon pilot in a luxurious wicker basket which is over-sized to allow plenty of room for guests to move around and enjoy the ride. 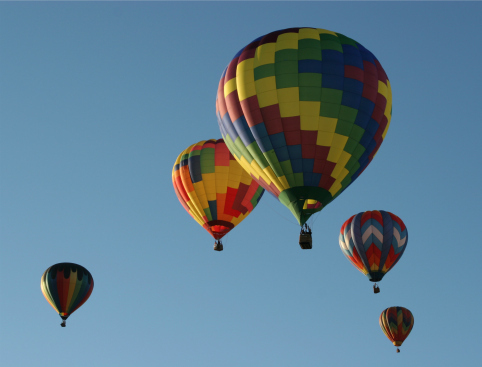 As the basket gently leaves the ground, you’ll be surprised at how light the balloon feels given its enormous size. 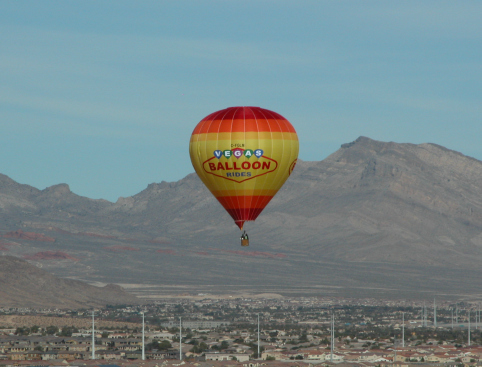 The Las Vegas Hot Air Balloon Ride begins in the southwest valley. From here, you’ll have incredible aerial views over the residential areas of the city. To the east, you’ll see the famous Las Vegas strip and to the west, the spectacular Red Rock Mountains and Canyon. 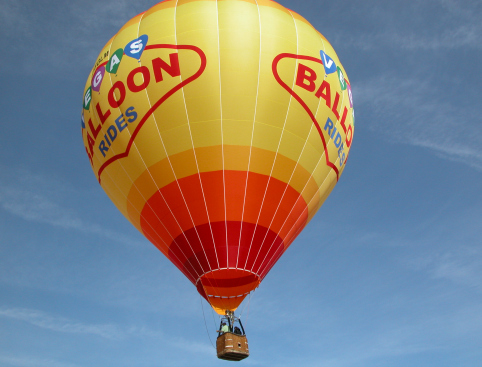 The balloon ride will last between 45 to 75 minutes, depending on the time of year, wind speed and direction and temperature. And it’s not all over when you land gently back on terra firma, because you’ll be greeted with delicious finger-food and a flute of chilled champagne to toast a successful and memorable flight! * * IMPORTANT INFORMATION - PLEASE CALL TO BOOK * * All guests are required to submit the following information correctly at the time of booking; full names as per passport, accurate body weights and a valid contact email address or telephone number. Failure to submit this information may result in guests being refused boarding. Important Information: The Afternoon Flight is currently unavailable due to the unusual weather patterns during Winter in Las Vegas. Between approximately 4am and 6am, depending on the time of year. Please call the number supplied on your e-ticket to confirm. A hotel shuttle service is available which is payable locally in cash to the driver. Please confirm at least 72 hours before your scheduled flight date if you’d like to use the shuttle. Otherwise you will need to make your own way to the departure point. Costs are $20 per person for passengers staying in the extreme south end of the strip such as South Point, Grand View & Green Valley Ranch. Special arrangements must be made if you are staying outside the areas listed above – please contact us for more details. A local telephone number to confirm your pick-up location will be supplied on your voucher. 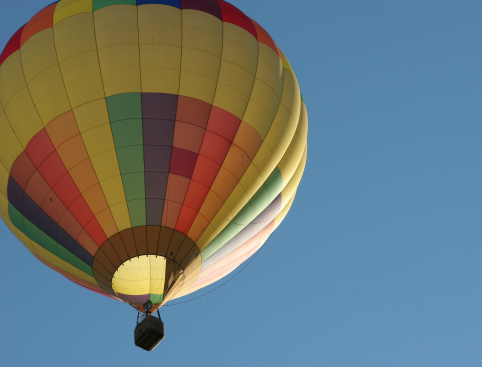 The pilot will determine the evening before your hot air balloon ride whether weather conditions are suitable for the flight to go ahead. Please call the number on your e-ticket to check the status of your flight. We suggest you dress as you would for a long walk in the woods. Temperatures in the hot air balloon are not usually any cooler than on the ground. The flight time varies from 45 to 75 minutes depending wind conditions, temperature and time of year. Transport to the meeting point is not included but a shuttle can be arranged at extra cost. Please see “Transport” information for details. Once booked, your tickets are non-refundable and non-transferrable.